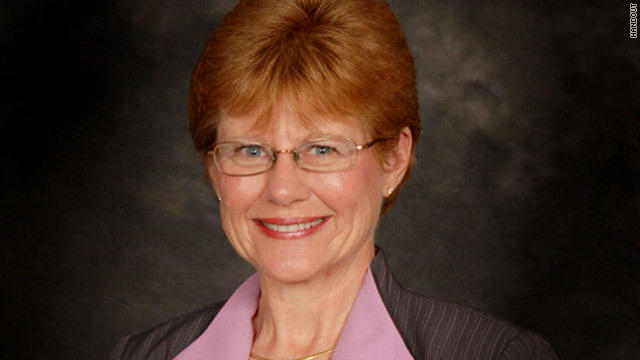 Police say Nevada councilwoman Donna Fairchild killed herself after killing her husband on January 25. Mesquite, Nevada (CNN) - Embattled Nevada councilwoman Donna Fairchild killed her husband of 21 years in his sleep at least an hour before she took her own life early January 25, law enforcement officials have concluded. Douglas Law, police chief in Mesquite, Nevada, where Fairchild served on the city council, said a toxicology analysis revealed no signs of alcohol, narcotics or an anti-smoking medication in the couple's bloodstream. The couple had stopped smoking and were dieting, leading to speculation that the murder-suicide might be linked to a smoking cessation drug. Caffeine and an agent found in chocolate were detected, and Bill Fairchild also had taken a mild allergy medication, Law said. He added that the medical examiner's report confirmed his department's findings that the couple died in a murder-suicide. The Fairchilds were found dead before dawn in the bedroom of their home in a newer subdivision in the hills overlooking Mesquite, a desert community of about 15,000 about 80 miles north of Las Vegas. At about 4:20 a.m. Donna Fairchild emailed two friends, and then called 911 and summoned police to her home. "I'm so very sorry," she said, according to Law. Police found Bill Fairchild, a former Denver homicide detective who worked part-time at Mesquite's recreation center, lying under the covers with a gunshot wound to the side of his nose. Gunshot residue was found on his eyelids, indicating he never woke up, Law said. Donna Fairchild, also retired from the Denver police force, was found fully clothed, lying on top of the covers with a 9 mm gunshot wound to the temple. Police discovered a note on the telephone stand in the kitchen, signed by "Donna." "I am so sorry for the disappointment I have caused all of you," the typed note said. "I know this makes no sense. It never will." The bodies were found hours before Donna Fairchild was to attend a City Council meeting and face possible sanctions over a $94.30 travel expense voucher and public comments she made about a state agency. She was one of three candidates who had announced they were running against incumbent Mayor Susan Holecheck, who along with the city attorney placed the agenda items seeking sanctions against Fairchild on the city council's meeting agenda.